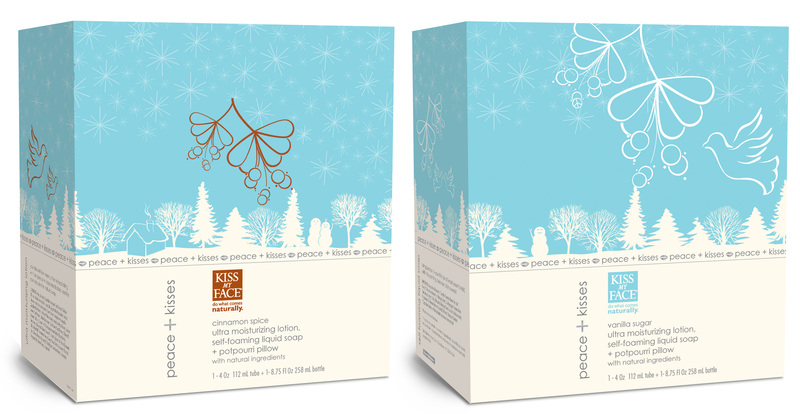 Kiss My Face, the natural beauty brand (AKA the “non-crunchy natural brand”) needed gift sets and products for the holiday season. Shelf presence was important to stand out amongst their competitors. 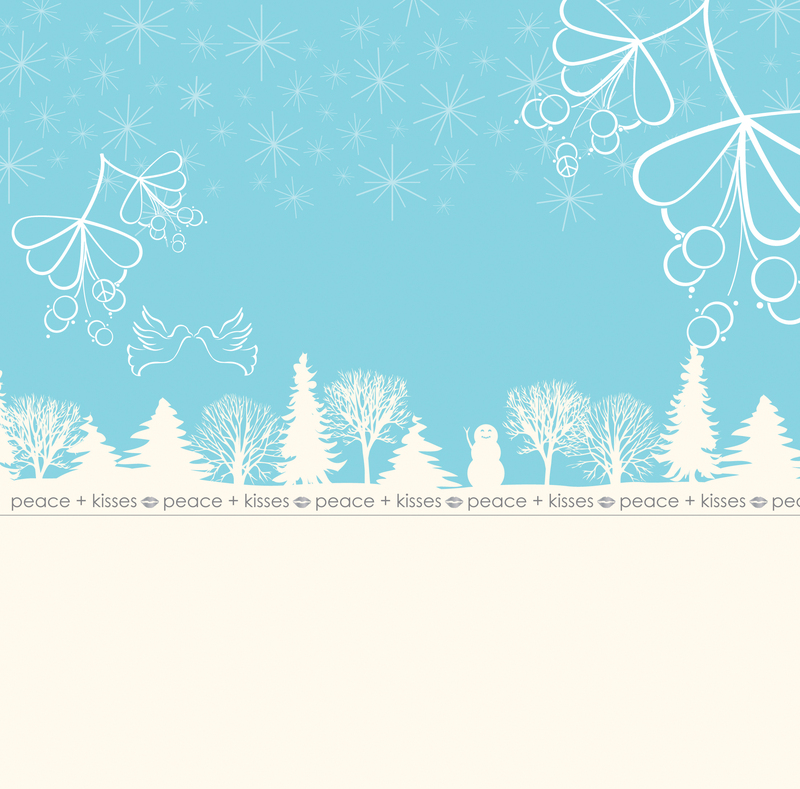 “Peace + Kisses” was developed with a clean color palette inspired by winter. The boxes, when aligned on the shelf, featured a fun winter landscape, with a pop of foil stamped kisses. The kits came in two flavors, indicated by the addition of cinnamon brown for cinnamon spice.